OK ... my faithful readers may remember my post about how to make rainbow cupcakes. 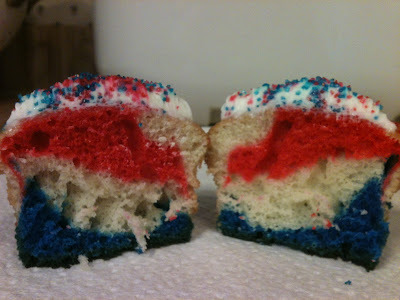 Well, I thought about doing those for Memorial Day, and then it hit me ... why not make Patriotic Cupcakes! How cute would those be?! 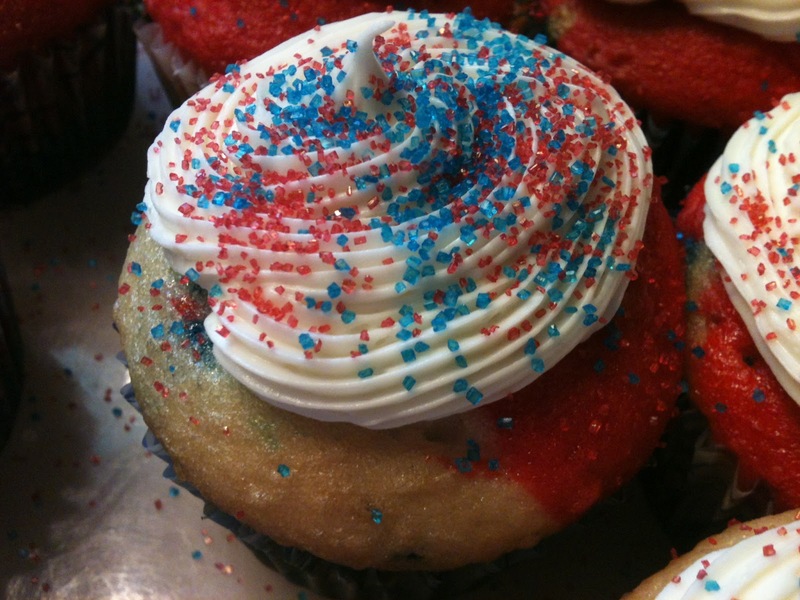 Adorable, yummy and patriotic! Can't go wrong there. I made these using a white cake mix, red and blue gel food coloring, white icing and blue and red sugar sprinkles. I layered the batter starting with blue, then white and ending with red. 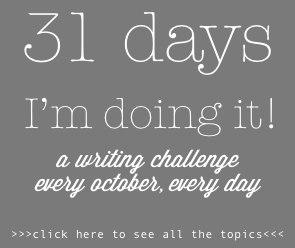 For details on how to make these (or the rainbow cupcakes), check out this post.